2010 Ford ranger With stabilitrak lift? Hello all! 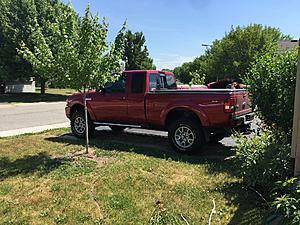 I have a 2010 Ford ranger XLT and want to lift it, but suspension lifts really work with it, because of stabilitrak. how can I get around the stabilitrak and lift my truck?? could I install a body lift instead of suspension?? thanks for the help I really appreciate it!! Yes. Body lift is your best option. ok cool thank you! so the body lift will have no effect on the stablitrak? Nope, it's just the suspension lifts that affect the stabilitrak. Ok awesome! hey so I just took out my ABS shouldn't that now completely shut off my stabilitrak and allow me to use a suspension lift?? You can bolt the suspension lift on all day long and it will work fine. The problem is that the front wheel speed sensors won't work with the suspension lift spindles/steering knuckles, so the sensors will not be getting a reading from the rotor since they aren't attached. This will cause issues with both the ABS and Traction Control systems. I remember a few guys were having "throttle down" issues related to the traction control system not getting a proper reading. I think this was still happening even after pulling the appropriate fuses. It's a really a "do so at your own risk" scenario. damn so pulling the ABS fuse really wont fix my problem? or I can put a suspension lift on now, it just is a little sketchy and I might run into some problems? sorry im just confused about this whole thing. I can't really tell you exactly what will happen since I haven't personally lifted a Stabilitrak equipped Ranger. But I know it isn't as easy as just pulling the ABS fuse. I've known a couple guys who have lifted 2010-2011 Rangers, and they never were able to fully "fix" the issues that the suspension lift kits brought on. Your best bet is the body lift, since that should only affect the yaw (pitch) sensors. I did a suspension lift on my 2010, well 3in lift blocks in rear and basically a pre-key mod..... I then added a body lift on top of that....no issues! What I will tell u is this, the truck will look goofy as hell wif u don’t widen that stance either with new wheels or dare I say wheel spacers?. Which brings up even more debate, here’s my take on it......If u decide on spacers fine, go with a quality spacer (b.o.r.a) gonna cost U, then use loctite when installing...If u do this and check them periodically u will be fine......40k plus no issues....Btw. Currently in process of replacing upper and lower ball joints...as well as bushings and tie rods.......Balljoints are original and are a known issue on these Trks, @127k now so it’s time, tie rods are just a since I’m doing it thing....I might add for the none believers out there and NO I haven’t had issues with cv axles and bearings.......NONE!!!!! ok ok awesome thank you so much! I will definetly try to lift my truck to how I want it and will add spacers, I really appreciate the help! can I see some pictures of your truck?? the next part is just finding someone who will install a body lift or a suspension lift on my truck! Sometimes I wish I would have just left my truck at that height with only slightly larger tires. Nice truck 07nhbpsi. 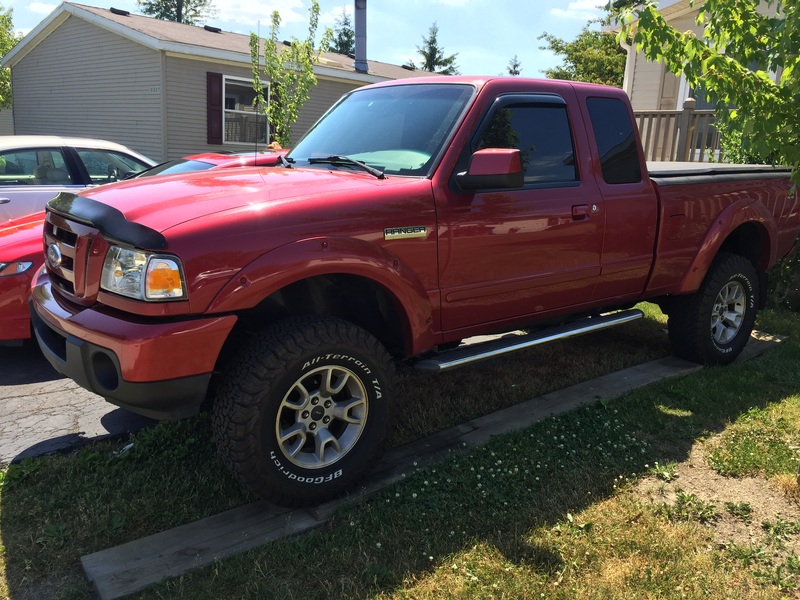 Quick Reply: 2010 Ford ranger With stabilitrak lift?